TAHLIA TABONE – Singing the Aretha Franklin classic, THINK. Saturday the 26th of July, TAHLIA will be appearing at BLU Restaurant Patterson Lakes, performing her one woman show. Phone 9772 5111 to book! 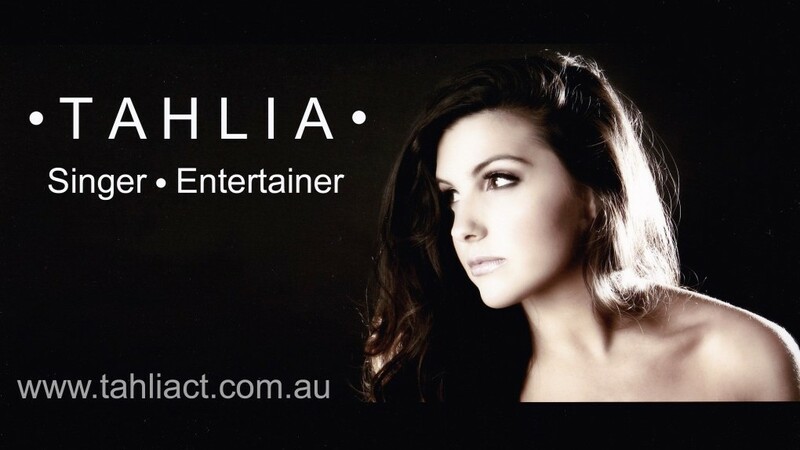 Friday June 27th, TAHLIA will be appearing at Skyways Hotel, 113 Matthew Ave Airport West. An intimate night of live entertainment performing her one woman show. GO TO: http://www.trybooking.com/EZKY to book! Tickets are on sale ! Tune into ‘THE VOICE’ this Sunday 6:30pm Channel 9. TAHLIA’S BLIND AUDITION. T A H L I A – I’M EVERY WOMAN SHOW !